LED (Light Emitting Diodes) grow lights are the hottest thing on the market right now and they’re still evolving, are they worth the cost? and the better choice? What makes LED’s the best grow lights? Check out our led grow light reviews for a more in-depth look at the best lights to use.The world of hydroponic lighting can get pretty complicated rather quickly. Involving wavelengths, color spectrum’s, a variety of plants needs, growth cycles, placement distance from the plants, and heat out-put. With all the hype and marketing surrounding them, let’s look at some of the advantages and disadvantages. What exactly is an LED? They’re made from semi-conductors, similar to a circuit board, instead of running electricity through a filament like the old fashioned hundred year old light bulbs, which is very inefficient, diodes generate the light They were first discovered in 1927 and first patented by Texas Instruments back in the early sixties, so LED’s have been around a while, but they’ve always been too expensive for consumer use and it wasn’t until researchers were able to produce white light out of them, that they started to be considered a lighting alternative for domestic use. As grow lights for plants, they were introduced in the early part of the 21st century, but again the cost was very prohibitive to the average consumer. LED’s have gotten a bad rapt from growers which is probably well deserved. The market was flooded with useless LED grow lights that were much more expensive than the much friendlier priced HPS (High Pressure Sodium) and MH(Metal Halide) lights. HPS and MH lights have also been around and performed well for years as a tried and true light source. The technology for LED’s is changing fast, though, and as with any industry, the quality manufactures will rise to the top and better technology at cheaper prices will be available. Manufactures are already producing bigger wattage LED’s with new types of lenses. Being able to produce the same amount of light using a lower watt bulb, or in this case, diode. It’s a major consideration because constantly trying replicate the sun indoors with High Pressure Sodium (HPS) or Metal Halide (MH) lights can be very expensive, especially when plants need light up to 12 or 14 hrs a day. LED manufactures are able to manipulate the color spectrum of the diodes to match different requirements for a variety of plants and also change the color spectrum during the growth cycle. Some of the higher end LED’s come with a dial to zero in on the color spectrum the plant will thrive at any given time, more red for when the plants are in a blooming cycle for instance. Because they’re a solid state technology, there’s not much that can wear out on them and they’ll last for years. There’s also nothing to break compared to a traditional HPS or MH lights. Heat production is a major factor with with HPS and MH grow lights. The extra heat requires a greater attention to ventilation or it can cause rapid die off. LED’s produce very little heat in comparison. They don’t require ducting and as much ventilation. This relates back to less heat. LED’s usually have built in fans so there’s not as much need to ventilate the extra heat generated by HPS or MH lights. Just plug in and go. This can also be a disadvantage. HPS and MH lights also acted as a heat source. If the grow room is too cold, there needs to be a heat source going. Almost all plants thrive in a warm environment so providing heat is going to add to cost. If you buy LED’s make sure you’re getting a full spectrum diode with at least a 3w output. Some manufactures sell just a blue or red producing light source so make sure there’s a well balanced spectrum between red, blue and white. If the price is cheaper than other brands, a limited spectrum and low output, such as 1w, may be the reason why. Expensive but getting cheaper. As the technology in grow light manufacturers progresses the cost will come down. Read the forums and you’ll realize results with LED’s are still controversial, with some growers using a hybrid lighting system of LED’s and HPS’s or CFL’s, rather than just straight LED’s. As LED’s become more powerful, results should get better, and commercial growers are starting to document more studies like this one here. Compare Manufacturers and then read the Growers Forums. 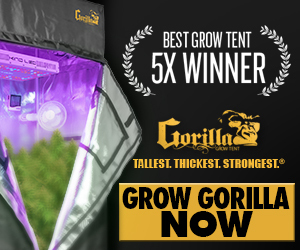 A LED Manufacturers job is to sell stuff, nothing new there, so check out some of the most popular Led grow light manufactures like Kind, Blackdog, and Californialightworks websites. Read about there spec’s and you’ll be able to start making some comparisons. Then go to the Indoor Grow forums and get the real life users opinions. In my opinion LED’s are the future but do your research before spending the cash.